I've allready googled and tried a lot of Stuff - nothing worked. In the first like 4-5 Minutes of the Game, when I see an enemy or an enemy is close (probably it get's rendered when a player model is near even though u can't see it) the game is stuttering / lagging for a short mili sec. 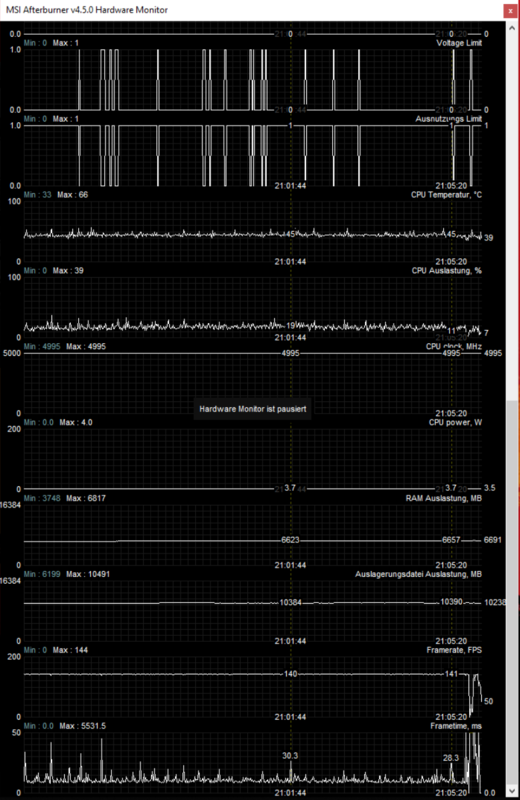 I installed MSI Afterburner to check if it's just me or the Game really is stuttering.So I get some spikes on the frametimes up to 30/40ms and smaller spikes of 20/25ms. Different NVIDIA Drivers with DDU uninstalling Drivers. I also switched the Place of my PC and tried a different powersocket. The Problem exists even when I play an offline game with the LAN-Cable disconnected with Bots. I can play APEX Legends without a single stutter. Anything prior to 1809 is moot, that's out of the way. Which version of the BIOS are you on? By different CPU, what did you try out? What CPU cooler are you using and can you check with your temps? You might want to sprinkle screenshots of the numbers you've seen on MSI's Afterburner app. Im at work right now. By different CPU i mean I tested a second 8700k and even going back to a 6700k with a Z270 Motherboard. hey , have you found any fix for this yet please ?